Looking for a USED 1515VZ10? 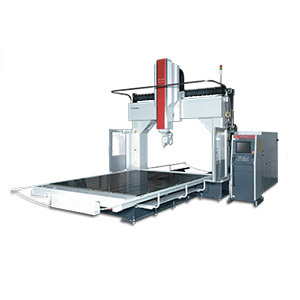 Mitsubishi's VZ series features three-dimensional, laser-cutting systems and provides accuracy and flexibility for users across a wide range of complex laser applications. The unique flexibility of these 5- and 6-axis systems makes them extremely powerful tools. The VZ series significantly decreases the time and manpower required to produce complex parts and provides the greatest cost efficiency. The VZ series machines feature Mitsubishi's patented 3-Axis Cross Flow Resonator for superior cutting power and the new, world-class LC30T Mitsubishi control system. The Windows-based program gives users a powerful and easy-to-use interface. Looking to Purchase a New MITSUBISHI 1515VZ10?